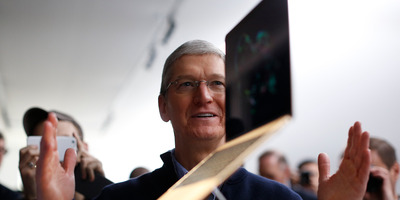 GettyMaybe Apple CEO Tim Cook is getting ready to let the Mac go. A Bloomberg report indicates that Apple is getting ready to bring iPhone and iPad apps to the Mac. Apple fans are getting frustrated with what they see as a lack of innovation in the Mac – but Marzipan may not be the saviour they have been waiting for. Earlier on Wednesday, Bloomberg reported that Apple is taking steps to unify its two disparate worlds: MacOS, the software that powers Apple laptops and desktop PCs, and iOS, the software on iPhones and iPads. The project, apparently codenamed “Marzipan” and possibly launching as early as next year, would let app developers write an app once, and have it work on the Mac, iPhone, and iPad. It’s a neat idea. As Bloomberg notes, Mac users have long complained that their versions of popular apps like Twitter have lagged, feature-wise, behind the iPhone equivalent. If Apple follows through with its plan, Twitter (theoretically) writes one app that brings new features to all users on all three devices, simultaneously. PC-bound Mac users will get to enjoy at least some of the hot, innovative new mobile apps that are developed for the iOS platform. It sounds like a way to bring the Mac into the party, where all the action is today. But Mac users perhaps shouldn’t celebrate too soon, because it may actually reveal Apple’s intention to move move away from the Mac. The message is clear: The next generation won’t be using a PC, they will be using the iPad Pro, or something like it. And that future is a-ok with Apple – the only way to get software onto an iPad is via the App Store, where Apple gets a 30% cut of all transactions. 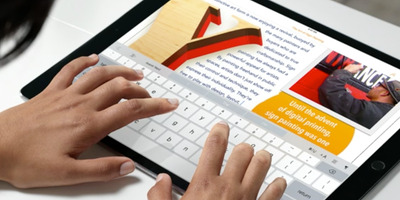 AppleThe Apple iPad Pro is designed to be used like a computer. Will the Mac ever really, truly go away? Maybe not any time soon. But even Mac fans have been forced to admit that it often seems like Apple’s focus is elsewhere. The biggest recent overhaul to the MacBook Pro, a Touch Bar above the keyboard, was largely rejected as gimmicky. Anecdotally, some big Mac fans are making moves over to Microsoft Windows 10 PCs. And with the overall PC industry shrinking, and Apple’s mobile-focused iOS rising in importance, it’s not surprising that software developers want to prioritise the iPhone and iPad. For many developers today, Mac software (and Windows, for that matter) is largely an afterthought. Apple isn’t the first company to walk this road. A growing number of Google-powered Chromebook laptops can now run Android apps. And Microsoft is championing its “Universal Windows Platform,” which, like Apple’s reported Marzipan project, let developers bring apps between PCs, tablets, and any other device that can run the Microsoft Store. Both are fine, as far as they go. But Microsoft’s plan, in particular, has hit a particular pitfall: Just because an app is great on a tablet, doesn’t automatically make it a good experience on a PC. There’s a real difference between an app that’s good with a touchscreen and an app that’s good with a mouse and keyboard. It’s not an impossible gulf. Going back to Windows 10, Facebook has built a pretty-solid Messenger app that works pretty well on both tablets and laptops. But it takes work to achieve that balance. And the more work it needs, the less developers are going to bother since that negates the point of having a write-once-run-anywhere system. If Apple isn’t able to give developers an easy way to create apps that are equally compelling across all three platforms, then the only thing Mac users will really get from the Marzipan unification is a catalogue of disappointments. That won’t do much to reverse the PC’s declining fortunes. And even if Apple does deliver on the promise of Marzipan, it’s tough to see it as anything more than a last gasp for the MacOS ecosystem – a wave of apps to bridge the awkward in-between time, with the Mac gradually getting less relevant even as the iOS ecosystem continues to mature. So yes, in theory, it sounds great for jilted Mac fans that they possibly stand to get a massive influx of new and updated software. But another way to look at it is that it’s a last hurrah for MacOS as the iPhone and iPad get closer and closer to replacing the Mac as we know it.